~ Easter Reflections on Resurrections. in reality this is a rebirth. “The dewdrop belongs to the sea. Eternal Life is gained by utter abandonment of one’s own life. and not so much as a hair of the lover remains. The biblical story of Jesus’ crucifixion and resurrection raises crucial issues about life and death – about afterlife and rebirth – and about our true identity and reality. As countless millions reverently commemorate the rebirth and resurrection of Jesus following his physical death by crucifixion, let us contemplate the deep significance of that story. Whether we regard it as historic or metaphoric, the story raises crucial issues about life and death – about afterlife and rebirth – and about our true identity and reality. Physical death is inevitable, but Life is perpetual. Death of the physical body is inevitable and unavoidable. After birth, “no matter how we strive, no body leaves alive.” Uncertainty exists only about time of death, and about whether there is conscious life after physical death. 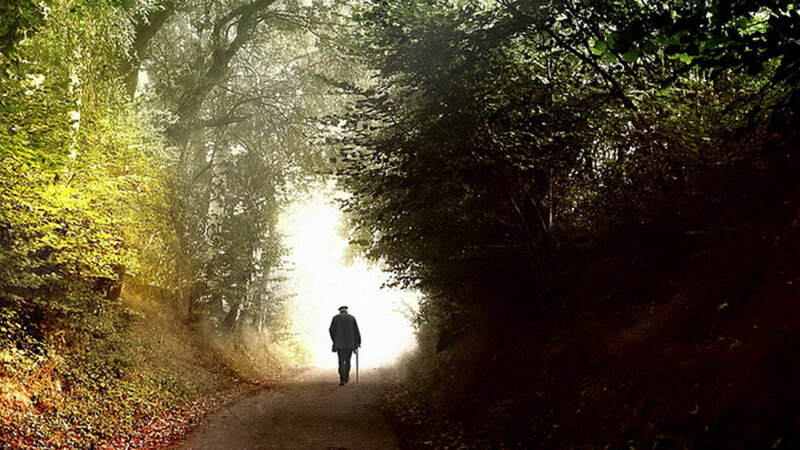 For millennia seers, saints, philosophers and mystics have addressed perennial questions of life after physical death and of our true identity and reality. Since the beginning of the 20th century when Albert Einstein revolutionized Western science with his theories of special and general relativity, quantum physicists and other non-materialistic scientists have begun confirming ancient mystical insights. Raymond A. Moody, Jr., PhD, MD coined the term ‘Near Death Experience’ [NDE] in his 1975 best-selling book “Life After Life”. Since then NDE’s have become widely considered, especially by millions who claim to have experienced them. And some leading-edge non-materialist scientists have cited testimonies about NDE’s and other extraordinary mystical experiences as evidence that consciousness survives physical death. For example, Dr. Elisabeth Kubler-Ross, respected scientist, author and pioneering authority on death and dying, believed in survival of spirit after physical death, and used butterflies as symbols of the death process. Soon after World War II, she visited the children’s barracks at the Maidanek concentration camp in Poland. There, amazingly, she observed hundreds of butterfly images drawn by the inmate children on the walls, even with pebbles and fingernails. Spellbound by the sight of butterflies drawn on the walls, she wondered why they were there and what they meant. Dr. Kubler-Ross’s writings have inspired many other non-materialist scientists who have followed her lead. Also, of great importance in helping us understand whether spirit survives physical death were the ground breaking scientific studies by Dr. Ian Stevenson, Professor of Psychiatry at the University of Virginia School of Medicine, who for forty years studied children world-wide who spontaneously remembered past lives. Dr. Stevenson objectively validated and documented about twelve hundred such cases. If – like snowflakes – each of us manifests as an absolutely unique physical form, what is it about us that can survive death of that unique form, and be “born and reborn”? “Reincarnation” is often understood to be the transmigration of a “soul” – viz. apparently uniquely circumscribed spirit – to another body after physical death. Though in Buddhism there is no concept of separate soul or individual self that survives death, Buddhists believe in rebirth. Like most mystics, Buddhists say that in addition to our physical body, we are enveloped by subtle astral and mental bodies, which survive death of the physical body and become consciously associated with successive physical bodies. But ancient Vedic and Buddhist non-dualism philosophies (“Advaita”;”Advaya”) have for millennia taught that this impermanent and ever changing world is an unreal illusion called maya or samsara; and, that “all that we see or seem is but a dream within a dream”… . Notwithstanding the Buddha’s non-dualist teachings, the Dalai Lama says he practices death and rebirth eight times daily. 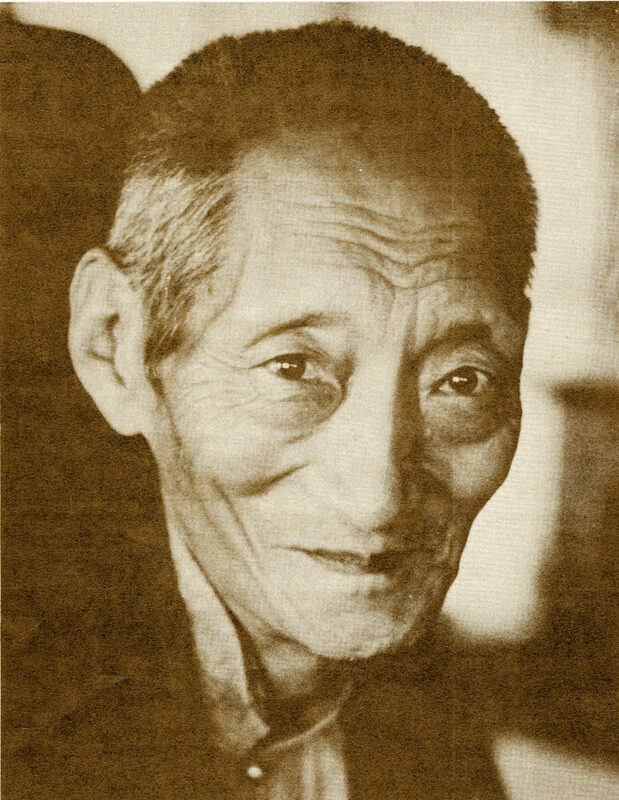 And, as Tibetan Bodhisattva of Compassion, he intends to return until all sentient beings are liberated from suffering. If you had the option of a one-way exit pass to ‘heaven’, would you volunteer as a Bodhisattva to come back to this crazy world? 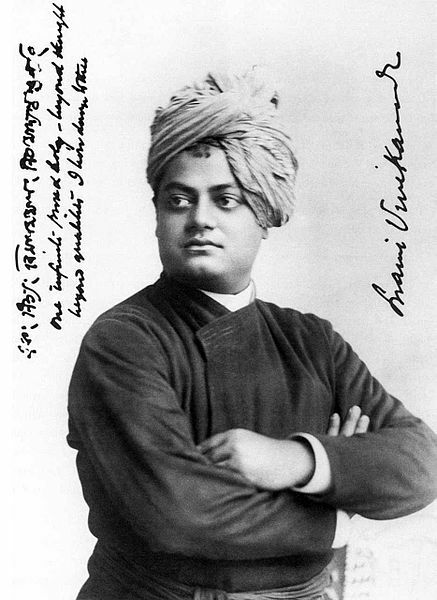 The ancient Eastern non-dualism teachings were first brought to large Western audiences by Swami Vivekananda, principle disciple of nineteenth century Indian Holy Man Sri Ramakrishna Paramahansa, at and after the 1893 Parliament of World Religions in Chicago. “What then becomes of all this threefold eschatology of the dualist, that when a man dies he goes to heaven, or goes to this or that sphere, and that the wicked persons become ghosts, and become animals, and so forth? None comes and none goes, says the non-dualist. How can you come and go? You are infinite; where is the place for you to go? Whatever our ideas about death, afterlife or rebirth, may we – in this precious human life on our precious planet Earth – realize together our common dream for a better world, where everyone everywhere is happy. Ron’s Explanations and Reflections on Reincarnations and Resurrections. As an octogenarian, I have long reflected upon crucially important perennial questions concerning life, death, afterlife, and rebirth. And I’ve thereby been blessed to realize that what we call “life” continues eternally after inevitable physical death. Until my mid-life spiritual awakening, I self-identified only with my mortal body, its thoughts and its story, and I assumed that death of the body ended life. So I had no knowledge, opinion or belief concerning reincarnation or afterlife in ‘heaven’ or ‘hell’, or of an immortal “soul”. Then in my early forties, I had irreversibly transformative experiences of spiritual self-identity and afterlife: I realized that I was not merely my body, its thoughts and story, but eternal and universal awareness. And I began seeing visions of apparent past lives, and inner and outer appearances of deceased people, including my maternal grandfather and Mahatma Gandhi, my first inner spiritual guide. So, I began accepting Eastern ideas of reincarnation and transmigration of an eternal soul, while gradually losing fear of inevitable physical death. 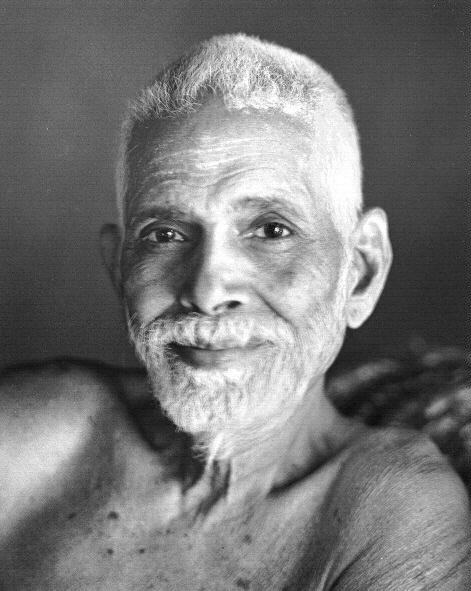 Then, on meeting my beloved Guruji, Shri Dhyanyogi Madhusudandas, I learned that from childhood he had been preoccupied with two perennial puzzles: “Who am I?” and “What is death?”; and, that at age thirteen, inspired by irresistible inner longing, Guruji had run away from home in search of experiential answers to those eternal questions. Consequently, I’ve become ever more detached and less fearful about my own inevitable and perhaps imminent bodily death – a great blessing. Moreover, I’ve become persuaded that from a rare non-dualistic timeless ‘Buddha’s eye view’ all our supposedly separate incarnations, emanations or appearances can be seen concurrently – formed like ink blots in a ‘big bang’ Rorschach test; but that until we become Buddhas we are karmically challenged to live each space/time lifetime as lovingly and skillfully as possible, while ever mindful that we are not mortal separate entities but indivisible formless and eternal Infinite Potentiality. 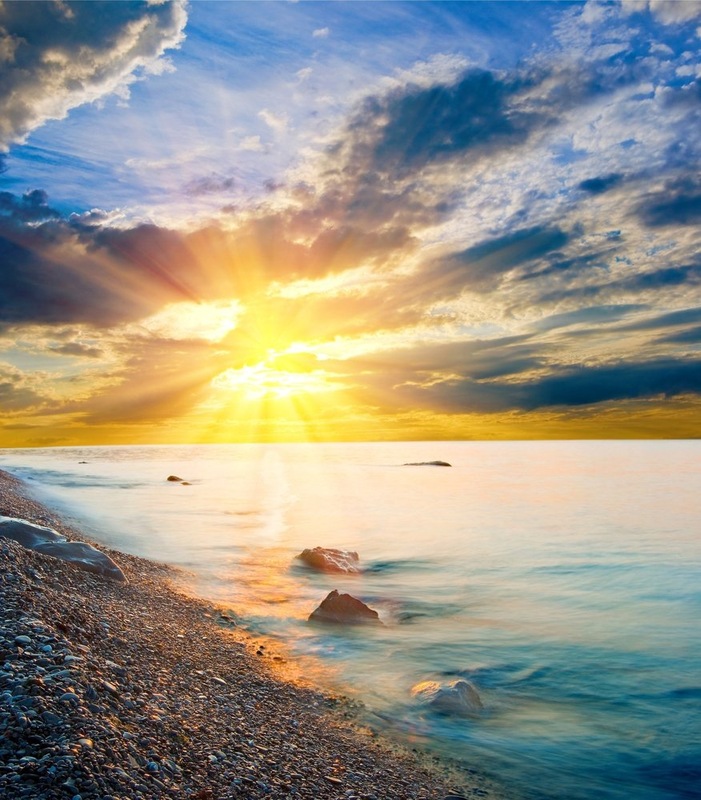 To encourage our deep insights on perennial questions of afterlife and reincarnation, like “Who am I?” and “What is death?”, I have shared the foregoing writings. On Easter and every day, may they help us discover within ever expanding fulfillment and happiness during our precious ephemeral lifetimes on planet Earth. Let Life live us as LOVE! a true panacea for transmuting all our sorrows and sufferings to eternal Joy. problems which cannot be solved from the same levels of consciousness that created them. All of our problems and sufferings have arisen from apparent lack of LOVE. Accordingly, I have posted the above wisdom quotes about “Love” and have embedded below a video of the original 1968 Beatles recording session of their classic song, “All You Need Is Love”, followed by the lyrics composed by John Lennon and Paul McCartney. May these inspiring “Love” postings help brighten our holiday solstice season – and the rest of our lives. On December 1st, 2018 my unforgettable friend Carol Schuldt painlessly left her body at age 85, diagnosed with pancreatic cancer and heart failure. 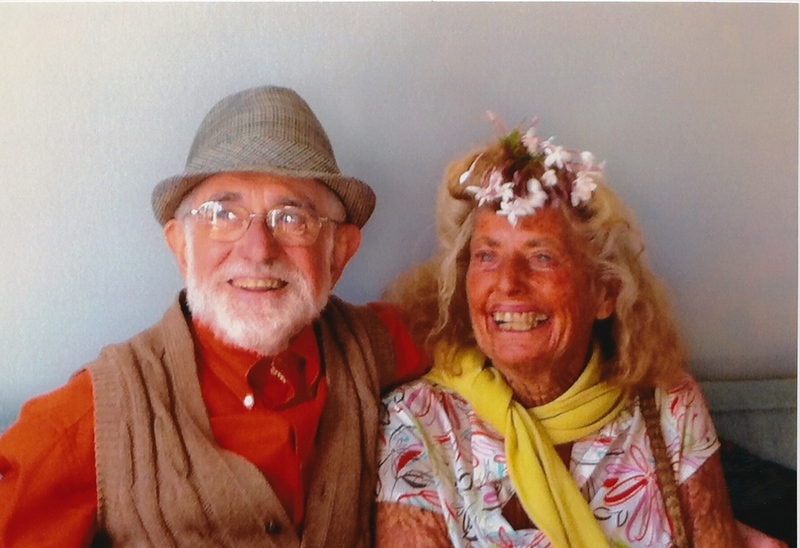 Thereafter, on December 8th, her body was interred in a wild nature place overlooking the Pacific Ocean, after spontaneous rituals and stories were shared by Carol’s friends on a beautiful sunny afternoon. Carol and I had innumerable synchronistic encounters, after we first met in the 1980’s. 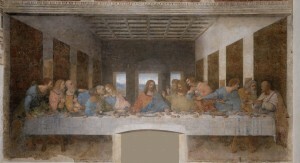 And we repeatedly shared our many ‘miraculous’ synchronicity stories (a few of which are posted here on SillySutras.com). Before meeting Carol, I miraculously ‘discovered’ and became a lover of St. Francis of Assisi. And soon after meeting Carol, I regarded her as a ‘female St. Francis’ who constantly communed with Nature, even with the sun, the moon, and many nonhuman lifeforms. So in tribute to Carol’s transition, I write now about her spiritual history, and to tell how wistfully and intuitively I bid her farewell through our shared synchronistic harmony with St. Francis of Assisi. Summary of Carol’s spiritual history. Carol and I first met long ago while sitting at Aquatic Beach on San Francisco Bay (across from Ghirardelli Square), where I walked and where she often came to escape ocean fog and swim in the sun (without a wet suit). Afterwards we exchanged many “miracle” stories about our lives stemming from our countless experiences of synchronicities, or meaningful ‘coincidences’. I deeply appreciated Carol as an amazingly free spirit with great instinctive wisdom and generosity. Before we met, she’d already become a ‘living legend’ throughout and beyond her San Francisco ocean front neighborhood. And many stories were written or told about her. For example, an excellent story: “A Benevolent Queen of the Beach” appeared in the San Francisco Chronicle on September 25, 2000. And in 2005 Carol was interviewed on film by the SF Public Library, about her history and life in the ‘hippie’ 1960’s. The Chronicle article told of Carol’s exceptional inner wisdom even from childhood, when at Catholic school she adamantly refused to worship a bloody Christ on a crucifix, and was the only child exempted therefrom by the nuns, who recognized her wisdom. The article also told how Carol had dedicated her life to helping troubled souls – especially young people. But that paradoxically Carol experienced great family tragedy with all of her three children: her two daughters whose lives were lastingly impacted by drug addiction, and her son Pete who was permanently brain damaged in a childhood car accident. Because of her great generosity, especially toward needy young people, Carol was sometimes known as the “Mother Teresa of the Sunset District”. And as a daily swimmer/surfer she also became known as ‘Queen of the Beach’. From childhood Carol was an extraordinarily intuitive free spirit. She never knowingly followed any prescribed Western or Eastern religious path, despite attempted childhood Catholic inculcation. Instead, she instinctively followed her own unique spiritual path of communing with Nature while surfing, swimming, sunning, hiking, biking, organic gardening, and helping troubled souls – especially young people. Carol’s muraled house and organic garden. Carol’s muraled house and aesthetic organic garden have symbolized her unique lifestyle as a ‘female St. Francis’. 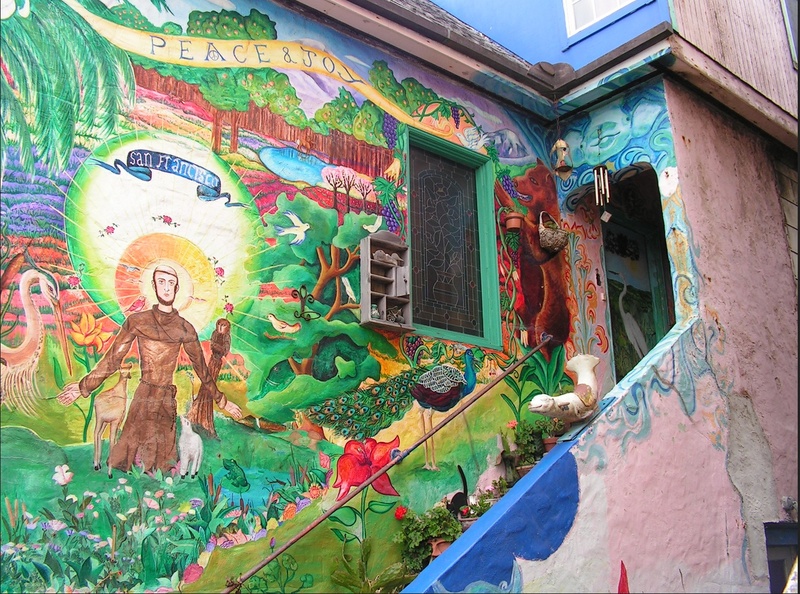 Especially noteworthy is an artistically beautiful St. Francis of Assisi “Peace & Joy” mural at her home’s entryway – a delightfully surprising tourist attraction for visitors to San Francisco’s ocean beach area. On Carol’s roof top (above the mural) is an artistic portrayal of ‘Brother sun’, her main deity, and unfurled above the roof is a red Tibetan prayer flag, symbolizing Carol’s respect for the Tibetan culture and Dalai Lama. Thus Carol’s house has eloquently exemplified her simple inner-directed life of instinctively communing with Nature, often without concern for outer–directed societal standards. During forty years of living in the same San Francisco high-rise hermitage, my apartment has been adorned with many pictures and portrayals of St. Francis, my favorite saint, and of the peace prayer which he inspired. And until recently St. Francis in a stone statue also presided over my outside deck garden. But in July 2018, I was obliged to remove everything from my outdoor deck so it could be renovated and repainted. Thereafter, I realized that I could no longer physically maintain my deck-top garden. So I decided to give away the plants and planters blessed by my St. Francis statue. While I’ve been looking for new homes for my plants, the St. Francis statue has been stored in an inconspicuous corner of my bedroom which is temporarily filled with many deck plants. On December 1, 2018, my long-time neighbor and community gardener friend, Jan Monaghan, came to take pictures of my plants and planters, to help me find a new home for them. While showing Jan the St. Francis statue, I suddenly and inexplicably started crying, thinking and saying “goodbye Saint Francis”. Thereafter for several hours I remained tearful. The next day, Sunday December 2nd, I learned (via email) that Carol’s soul had departed her body Saturday evening, and I intuited that while Ron was tearfully saying goodbye to St. Francis Carol’s soul was astrally bidding Ron ‘adieu’. 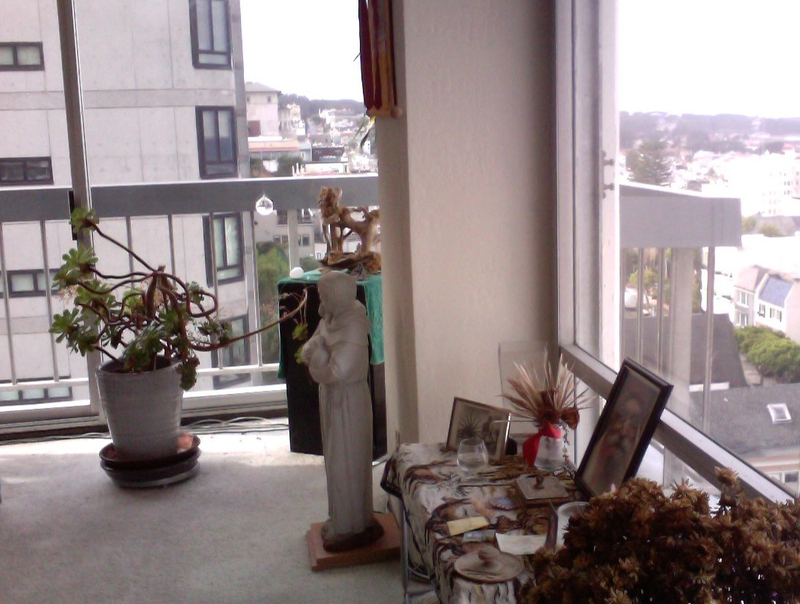 On Monday morning, realizing that my St. Francis statue needed an appropriate new place to stand, I decided to move it to my my high-rise hermitage view living room, where I spend most indoor waking hours. So I telepathically told the saint in the statue that (on returning from a brief walk) I was moving him to a perfect place on my living room wool carpet, and that I would find an appropriate indoor pedestal for him there ASAP. Soon thereafter, I took a brief walk on nearby Vallejo street. After walking for about fifteen minutes I noticed an amazing manifestation miracle. Amongst a curbside pile of discarded objects, I saw a perfect pedestal for St. Francis, which I carried home. On returning home, I moved St. Francis to a new perfect place on my living room carpet where he now resides on that miraculously manifested pedestal. And just as Carol’s St. Francis mural appears below a red Tibetan roof-top prayer flag, my St. Francis statue stands beneath a red Tibetan Kalachakra thangka mandala, symbolizing Ron’s respect for the Tibetan culture, and His Holiness the Dalai Lama. After a midlife spiritual awakening at age forty three, prayer became essential to my spiritually conscious life process. So my spiritual memoirs appropriately include the following description and explanation of “prayer” in my life, both before and since the midlife awakening. I don’t recall spontaneously praying or crying to God prior to midlife. But I do remember feeling emotionally moved while singing collective prayers, and on hearing chanted cantorial prayers, at organized Jewish high holy day services. Even though I didn’t understand the words, I was especially affected by “Kol Nidre” (“All Vows”), an emotively powerful prayer with a hauntingly beautiful melody which is chanted and recited in ancient Aramaic, to begin Yom Kippur services. Only after the midlife awakening did I synchronistically begin regularly praying with daily recitations of the “make me an instrument of Thy peace” prayer attributed to Saint Francis of Assisi – heartfelt recitations which have continued for over forty years. Two years after the midlife awakening, I met my beloved Guruji, Shri Dhyanyogi Madhusudandas, and received shaktipat initiation into the path of kundalini yoga. Thereupon I was given a sacred “Rama” mantra and spiritual name “Rasik: one engrossed in devotion”. Afterwards, as Guruji presciently had foreseen, I became and have ever since remained “engrossed in devotion”, intensely yearning for the Divine, and often spontaneously calling and weeping for “Rama” with deep longing. Also, in addition to the Saint Francis prayer, I began regularly reciting prayers and mantras recommended by Guruji, and soon became a “born-again Hindu”. Though some Hindu prayers were directed to mythological Hindu deities – including the legendary monkey-god Hanuman – in calling, crying or praying to the Divine, I consistently conceived of “God” as formless and invisible. Ultimately, on my acceptance of Advaita non-duality philosophy, “God” as ultimate Reality became (and remains} for me an inconceivable Mystery. 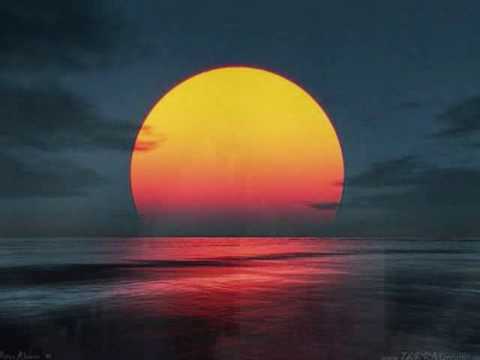 Especially during my extended post-retirement reclusive period, I daily prayed for particular people, envisioning them as enveloped by divine light, while silently praying for everyone everywhere. Sometimes I prayed for specific outcomes, like healing or wellbeing. But gradually I ceased praying for specific outcomes, while continuing to pray for all Life everywhere. Now, although all specific loving prayers are beneficial, I instinctively pray with faith for best outcomes, without specifying desired results. Especially since miraculously surviving and recovering from a June, 2014 near-death taxicab rundown, I have gratefully given my ‘irrevocable power of attorney’ to The Lone Arranger to determine appropriate outcomes for all Life everywhere. Prayer is universal – a concept recognized worldwide by all cultures and people. But it is understood and practiced in different ways at different times. In perceived dire sudden emergencies or threats most humans spontaneously pray for help, even if they haven’t previously prayed and their instinct to pray is subliminal. Thus, once before becoming a “born-again Hindu”, I suddenly began calling and crying out to God as “Rama, Rama, Rama”, upon fearfully being lost in a jungle-like Hawaiian nature preserve. And I remember instinctively exclaiming “Jesus” when twice almost run down by crazy car drivers, though I’d never before prayed to Jesus. All humans share a common instinct to return to our Divine Source. But, as unique beings with uniquely conditioned karmic perspectives and limitations, we each experience different evolutionary challenges and different theoretical spiritual paths. So, as we evolve toward realization of our common spiritual Source and Self identity, different practices and behaviors are most appropriate for each of us – including whether, when or how we pray. (See e.g. https://sillysutras.com/different-person-different-path/ ) In my experience, our inner insights and instincts best help us determine our unique evolutionary paths. Thus, though I began this lifetime only praying rarely in organized religious programs, after years of evolutionary process I now instinctively pray constantly and spontaneously, with an unprecedented and all encompassing concept of “prayer”. I am unqualified to tell others how, when or whether to pray. But it is my aspiration that SillySutras readers may find guidance about prayer and other spiritual practices from these memoirs and cited spiritual quotations. So I will hereafter share my opinions and observations about prayer in our lives. Observations and quotations about “prayer”. Praying is instinctive. Throughout recorded human history prayers have been offered by countless saints and sages, and by ordinary people of every religious denomination. Even Buddhists who don’t believe in a Creator God recite many mantras and pray a lot. “Everything we think, do or say changes this world in some way”. So we are all co-creating our earthly mental reality. 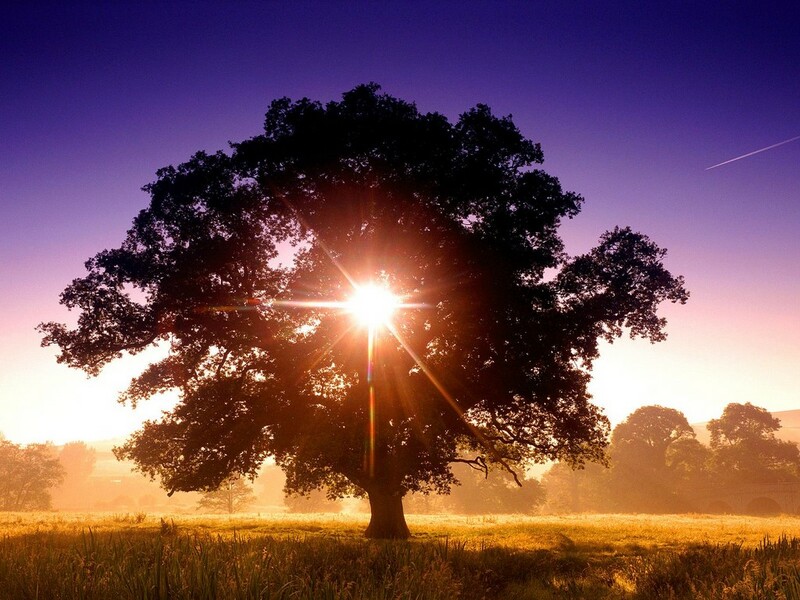 As Universal Spirit, we are ONE, and we ‘contagiously’ influence one another, positively or negatively. Every thought affects our collective consciousness. We have infinite potentiality to lovingly and prayerfully bless this world. But our fearful and worrisome thoughts and behaviors are tantamount to negative prayers, which can unknowingly afflict the world. So mental mindfulness helps us avert such worrisome thoughts. The stiller and more focused our minds, the more opened our hearts, and the deeper our harmony with Nature, the more impactful are our prayers. And, whether or not we intentionally “pray”, our focused awareness of conditioned mental propensities can be key to fulfilling our deepest evolutionary aspirations. It is best to be givers, not getters. For it is in giving that we receive. So, it’s preferable to pray selflessly for peace and welfare of all others, rather than for our perceived self-interests; to ‘pray for God to do through us – not for us’. And it’s best to leave to Supreme Authority details of how to accomplish all our prayerful wishes, rather than to specify them. Realization of humanity’s shared evolutionary aspiration. Realization of such a perpetually prayerful saintly state is humanity’s deepest aspiration. Knowingly or unknowingly, consciously or subconsciously, no matter who or where we are, no matter our age, gender or culture, all humans share a universal and irresistible instinct and desire to return to a soul-remembered original state of Divine Love, Peace and Oneness – a transcendent state beyond words or thoughts, so marvelous that its subliminal memory magnetically attracts every sentient being to merge and be At-One with THAT. Self Realization of THAT to which we pray, and for which we deeply aspire, is our ultimate destiny. May these writings on “prayer” help advance us toward realization of that ultimate destiny.